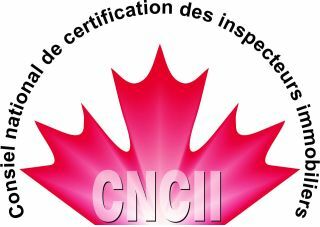 The NHICC accepts applications for those applying for certification in the home inspection sector in Canada. There are 3 levels in the NHICC certification process. Candidate, Provisional and National Home Inspector (NHI). The highest level of certification achievement is the NHI. This represents an individual that has met the complete certification requirements of the NHICC National Certification Program. The applications are readily available in the left hand column under the "Application" category. The NHICC - NHI designation is recognized for licensing in BC, Alberta and under Quebec regulatory administration. The NHICC has also been involved with licensing in Ontario. Our application fees and payment page. Our PayPal payment page. Since the NHICC Directors have been heavily involved in the development of the National Certification Program and also formerly with the administration of the (NCA) National Certification Authority we offer a Prior Learning Assessment review for current (NCH) National Certificate Holders & also for (RHI) Registered Home Inspectors and ASHI (ACI's) for equivalency. The Prior Learning Assessment process provides an opportunity for those experienced and qualified practitioners to earn the NHI-certification designation. The NCH designation was previously conferred on qualified practitioners that met the certification requirements of the original National Certification Program administered by CAHPI. The NAB reviews and asseses all applications to best place an applicant into the applicable category level. The National Certification requirements are specified in the "Candidate Handbook". The NHICC certification process is assessed on a background review point based system where specific points are earned for specific education, experience, skills and tasks equated. The point system is outlined under our document "Certification - Review Points". The NHICC National Certification Program is open to ALL home inspectors regardless of affiliation or lack thereof. In some cases completion of exams may be required to satisfy provincial regulations for licensing. 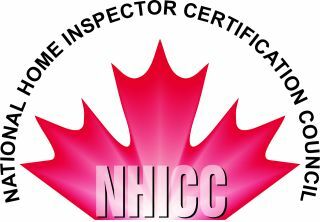 The NHICC provides an independent 3rd party certification program for Home & Property Inspectors, attesting your technical skills and professionalism. Take our "certification challenge" and become certified to a higher and independent professional standard.